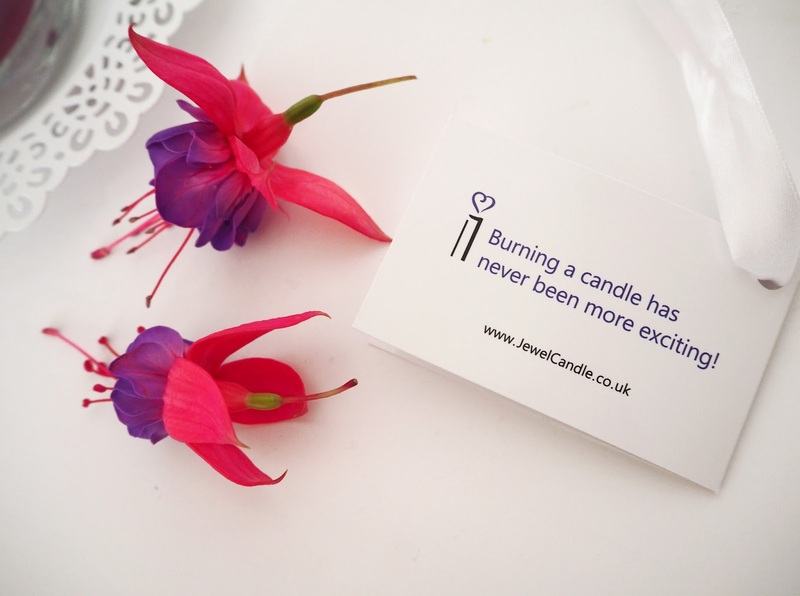 It's no secret that I love my scented candles as well as being a little magpie around any kind of sparkly jewellery! So imagine how excited I was to find a brand that combined two of my biggest loves all in one?! 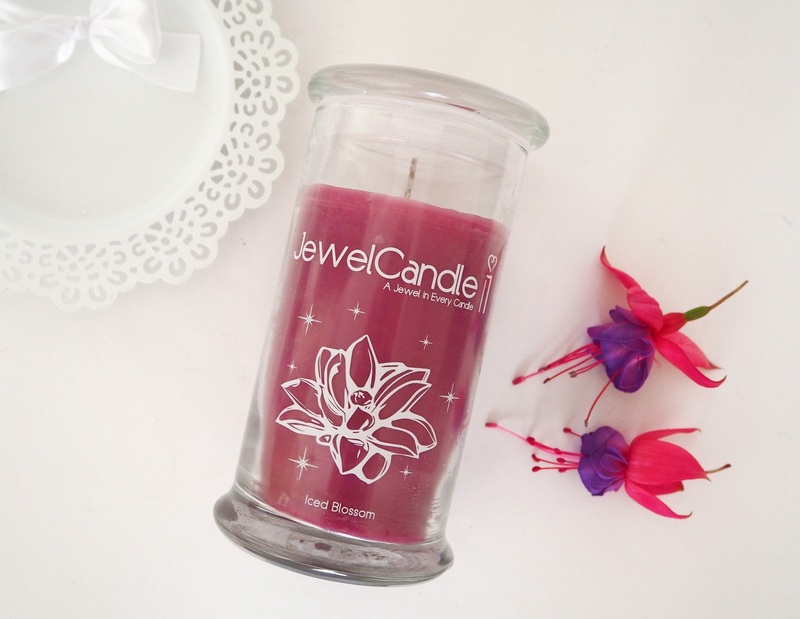 Today I want to introduce you to Jewel Candle who create high quality fragranced candles with a piece of 925 Sterling Silver jewellery hidden inside every single one! You can choose between candles containing a Ring, Pendant, Earrings or a Bracelet which has a mystery piece that is worth from £10 - £250. 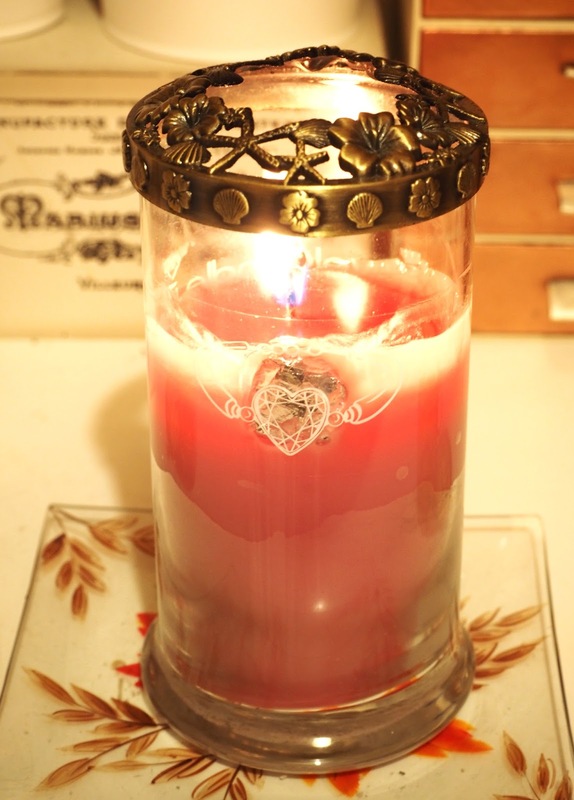 I chose a bracelet candle in the fragrance Iced Blossom. I thought the scent description sounded appealing and the wax colour looked really pretty. You can see from my pictures (below) that you can actually see from the side where the piece of jewellery is hidden in the candle. The jewellery is inside a little sandwich bag which is wrapped tightly inside a piece of tinfoil. It took me two burns (so I'd say approximately 15 hours) to get the wax burnt down to a point where most of the wrapped Jewellery was accessible. 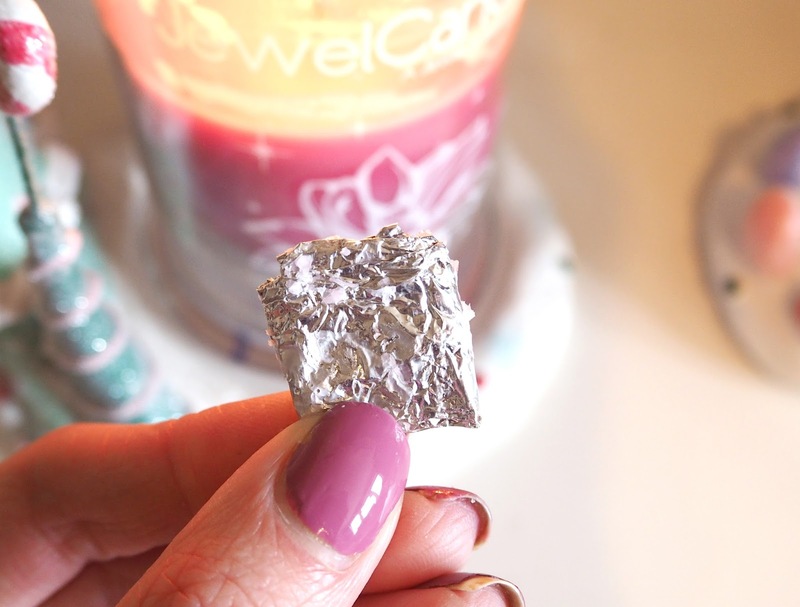 I then blew the flame out and whilst the wax was still liquid used a pair of tweezers to pick the tinfoil parcel out! You do need a bit of dexterity to manoeuvre it out but it was rather fun. I was super excited to unwrap it and see what my bracelet looked like! 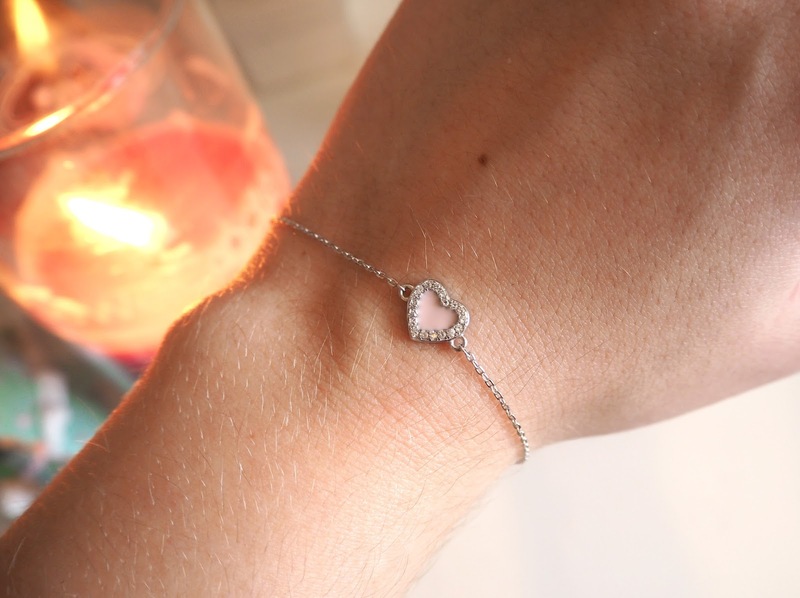 I got a little pink heart charm on a silver bracelet chain, it's so pretty and looks cute when I layer it up with some other bracelets too! My candle had a decent fragrance throw and I thought the Iced Blossoms smelt similar to Yankee Candle's Sweet Pea scent if you're familiar with that perhaps with a cooler edge. I had to trim the wick quite a bit before I started burning as it was long and you might be interested to know that I could fit my Yankee Candle Illuma Lids on the top as well. So if you have one and like to use them to ensure a clean even burn then that's worth noting! I think these make an absolutely fabulous gift for someone be a friend or family member (my Mum would love it) as it's basically 2 gifts in one. Plus you've got that very exciting element of surprise about what you're going to find in there! I'm keen to try their Pistachio Macarons fragrance next. If you fancy trying Jewel Candle for yourself or buying one for a friend then be sure to use code: JEWELCANDLE15 for 15% off! 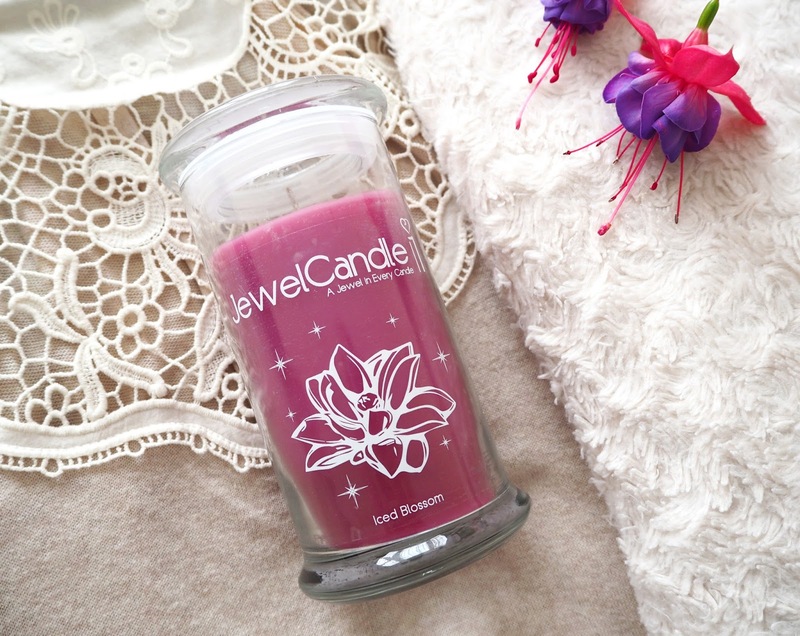 Check out my Instagram @katiekirkloves for a GIVEAWAY where you could WIN your very own Jewel Candle! 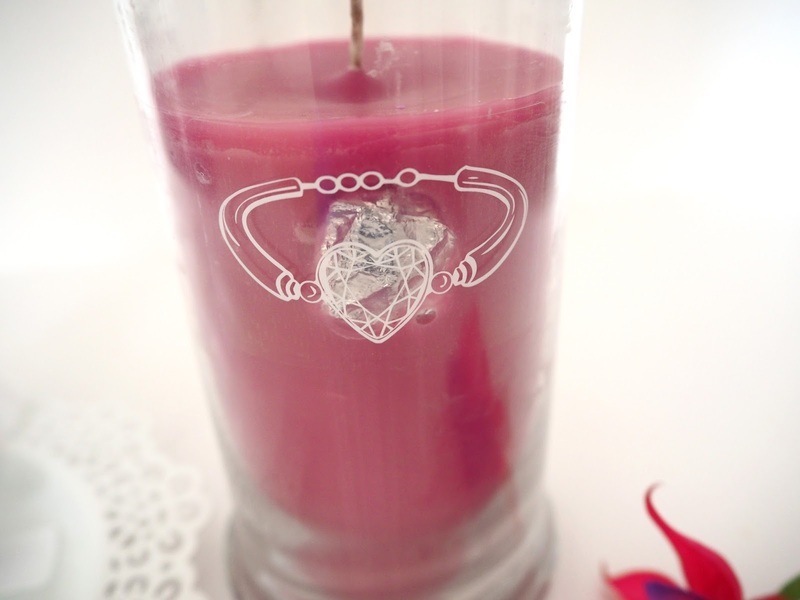 Look for the Jewel Candle image on near the top of my feed for details on how to enter. The giveaway will end Wednesday 22nd February at Midnight so get entering! 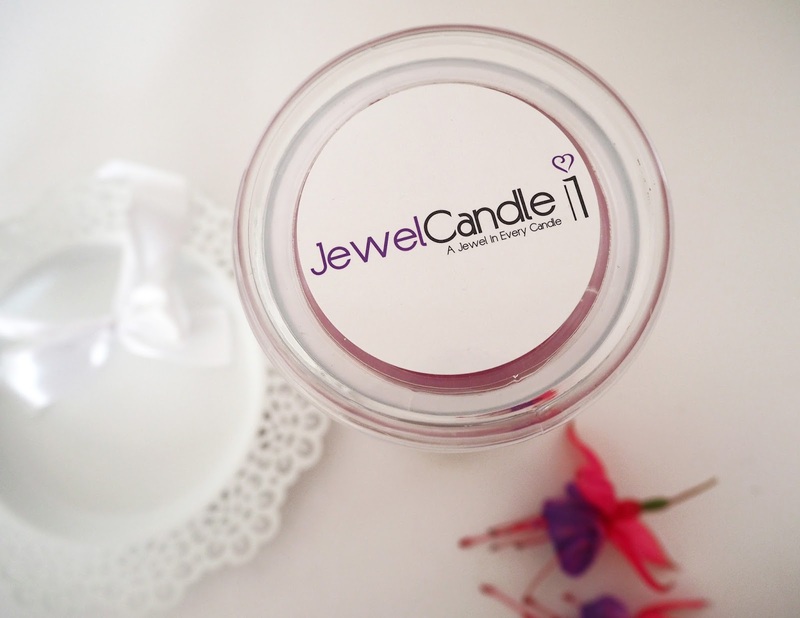 What do you think about the concept of Jewel Candle and who would you buy this for as a gift? This is such a lovely idea and it's certainly up your street. 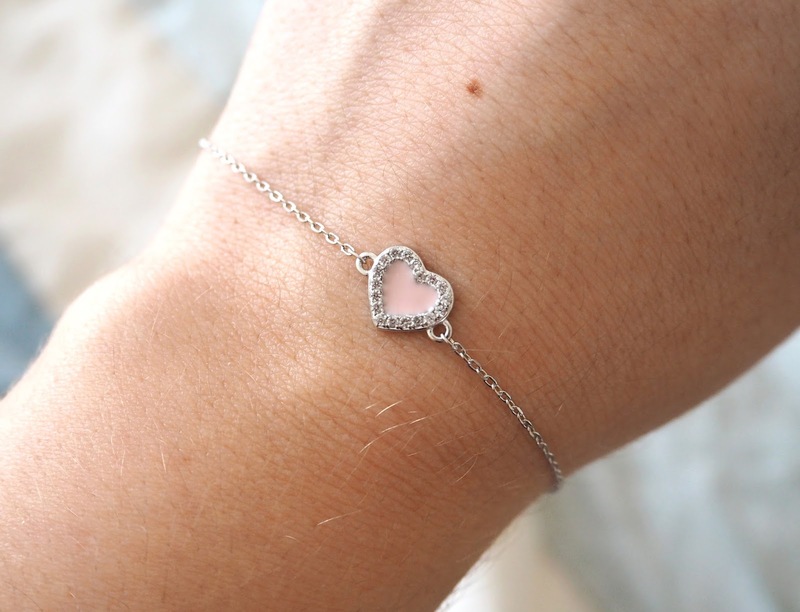 That bracelet is gorgeous too! Woow I adore this concept it is definitely something different! I love it, heading to your Instagram now! We are also providing different variety and designs of Recycled silver jewellery in reasonable price in US, Europe and Australia. This blog also shares valuable information about attractive designs of jewel candles.